The core collection is inspired by colors, textures, shapes, and sounds found in nature. It consists primarily of porcelain + metal pieces that bridge organic form with small-scale industrial production techniques. Materials are responsibly sourced to create seasonless, future-heirloom pieces that are bold in simplicity and made by hand in-house. Daniela Jacobs, Parsons graduate and designer behind the brand, is interested in a world that celebrates mindfulness; the beauty in small, transient moments in the every day; and creative fluency. 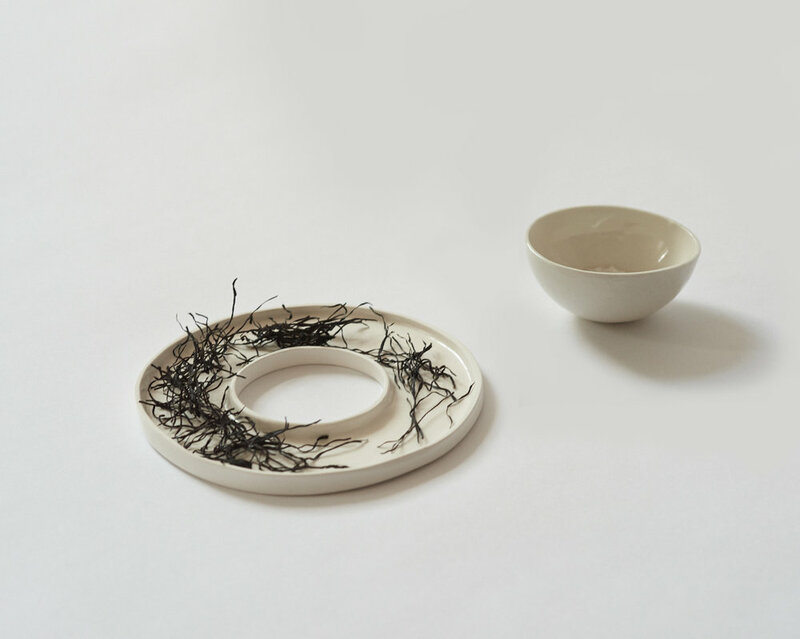 All ARC objects pieces are hand-made and require care as such– we recommend hand-washing the dishes and spot-cleaning the porcelain jewelry with a damp cloth. Metal pieces should be stored in a dry place and occasionally polished. Invisibles are spot-clean, hand-wash, or in some cases, "gentle" rinse machine wash recommended. ARC objects Core Collection items may be returned, on a case-by-case basis. If you wish to return something, it must be undamaged, unused, and clean. You must email us immediately upon receiving your order. Remember to keep a record of your return's tracking number in case UPS is unable to locate it. Your refund will be credited to the same card used to make the original purchase. We’ll send you an email once we’ve processed your refund. Since our Invisibles Collection consists of one-of-a-kind pieces, we have a no returns/exchanges policy. Please email us with any further questions!